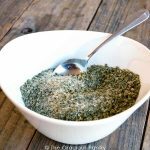 Ready for a clean eating ranch mix recipe? Let’s do this!! Many of you have asked for a dry ranch mix to make things like dip or to add to recipes that call for the commercial packet. The truth is, this type of ranch mix has many chemicals in it. Chemicals that probably shouldn’t be anywhere near being allowed in our food supply. But lets face it, many people depend on these chemical mixes to make their food taste good. They are cheap, convenient and flavor is guaranteed every time. Who wouldn’t want that? So I set out to make a clean version of this. But one issue with cleaning up a recipe like this is that a dry ranch mix will have dry buttermilk in it, which is obviously not clean. I mean, it certainly doesn’t come out of the cow in powdered form. A dry mix like this has to be heavily processed with chemicals added to keep everything fresh for months and months on the shelf. And in case you didn’t realize, food isn’t supposed to stay “fresh” or “good” for months and months on a shelf. The great thing about having just the herbs mixed together is that you can really flavor anything you add them to as strongly as you like. You can’t really do that when the dry buttermilk is involved because at some point, the buttermilk becomes too tangy for a given recipe. This way, you can add however much you want of either one. If you have a recipe that doesn’t call for liquid but does call for the dry packet, start by including small amounts of buttermilk. Maybe 1 tbsp. at a time just to get the tang. Of course, this will change based on the recipe you are making, but it’s not too hard to adjust for extra liquid in most recipes. If you need help with that, feel free to let me know what recipe you want to use this for in a comment below and I’ll do my best to help you make the adjustment using this recipe as opposed to the traditional packet. Lastly, keep in mind that the package variety is very fine in texture. 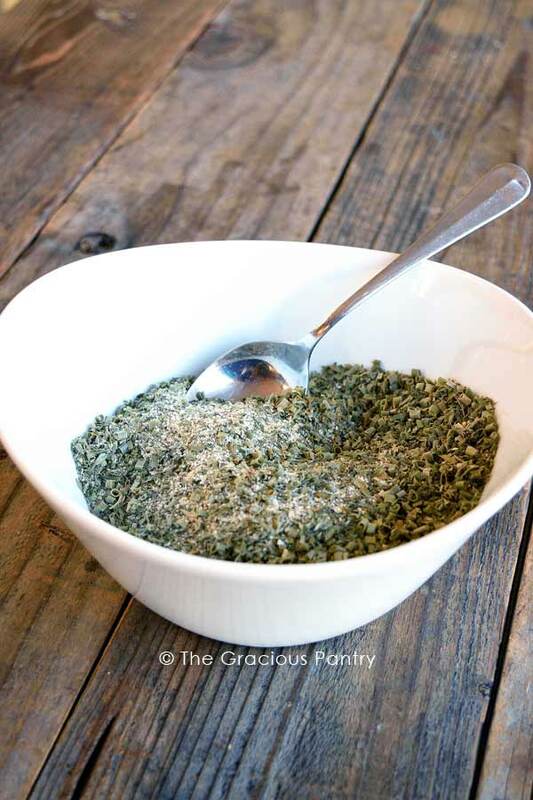 If you need that here, simply run the entire thing through a food processor, blender or even an herb grinder if your grinder doesn’t mind the garlic powder and such. Powdering this will give it the texture of the stuff in the packets. Never buy the garbage-filled packets at the store again. This mix is the perfect replacement! 2 tbsp. = 1 store-bought packet. In a small to medium mixing bowl, combine all ingredients and stir to combine. Run mix through a blender if you wish it to be more powdered like the store-bought packets. Add approximately 1 tbsp. (or to taste) to about 1/2 cup buttermilk, yogurt or sour cream. I so need this recipe! Thanks. We add a packet to ground turkey for turkey burgers. I think I’ll try mixing some of this in about 2 tablespoons of plain Greek yogurt and using that instead in the burgers. I can’t use a lot of liquid. Any other suggestions? So excited too because each store-bought packet has like 2160mg of sodium!